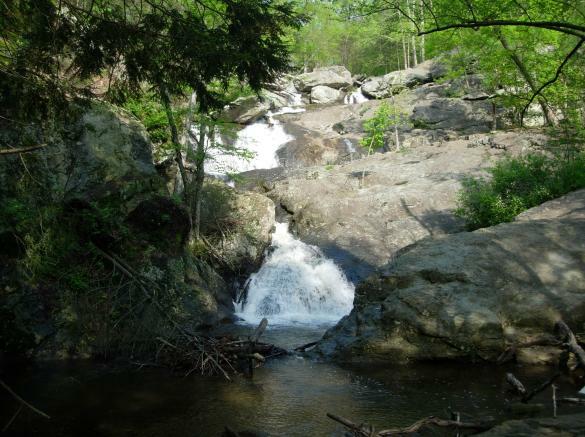 The park, located west of Thurmont in the beautiful Catoctin Mountains, is named for a 78-foot cascading waterfall. Hiking, swimming, hunting, fishing, picnicking, boating, playgrounds, 13 camper cabins, and 180 campsites in two areas available seasonally. The William Houck area has a 43 acre lake and trail to the Falls; Manor area includes Catoctin Furnace. The park is also home to the aviary at Cunningham Falls as well as the annual Maple Syrup Festival. Some facilities are handicapped accessible.